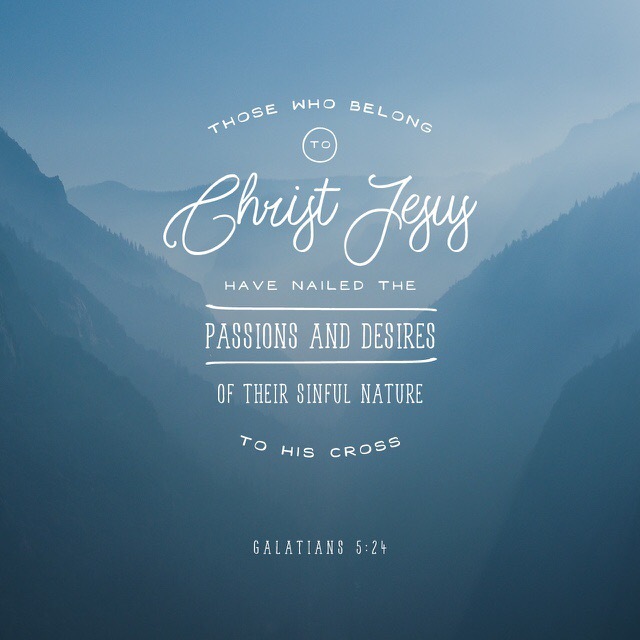 Encouragement: Galatians 5:24 Now those who belong to the Messiah Jesus have crucified their flesh with its passions and desires. 1 Corinthians 6:13 “Food for the stomach and the stomach for food,” but God will destroy them both. The body is not intended for sexual immorality, but for the Lord, and the Lord for the body. Galatians 2:20 I have been crucified with Christ, and I no longer live, but Christ lives in me. The life I live in the body, I live by faith in the Son of God, who loved me and gave Himself up for me. We are free from the bonds of sin! Though we may sin, we can receive forgiveness and repent (turn away from) our old ways and begin anew… How refreshing!